Identity theft is defined as the process of using someone else’s personal information for personal gain. Identity theft can happen to anyone, and it can come in all shapes and sizes. 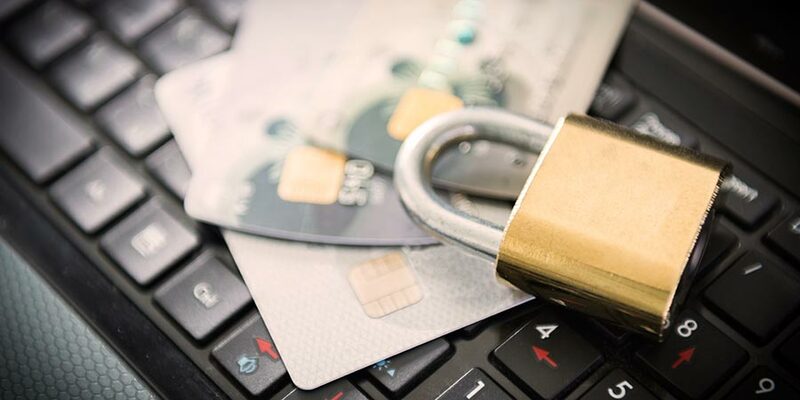 According to the Federal Trade Commission, there are more than 30 types of identity theft affecting millions of Americans each year. Your credit card digits could be stolen and used to make online purchases; a thief could impersonate you to open a loan in your name; a felon could commit a crime and pretend to be you when caught; or someone could use your personal information to apply for a job. How can TwinStar Credit Union help? TwinStar members with a checking account in good standing can now obtain Fraud Defender identity theft recovery services for just $2.95 per month. The fee will be automatically deducted from your checking account each month. Sign up for Fraud Defender next time you are in a branch or call us at 1.800.258.3115. TwinStar has partnered with Fraud Defender for fully managed identity recovery services if you suspect identity theft for any reason, or your personal information has been compromised. All checking account holders may choose to have Fraud Defender added to their accounts for a nominal fee of $2.95 per month. All Member’s Choice account holders receive Fraud Defender free. If you suspect identity theft, or your personal information becomes compromised as a result of a lost purse or wallet, a break-in, lost laptop or data breach, or other event, we can help. Simply contact TwinStar Credit Union and a representative will verify your information and securely submit your case to a Personal Recovery Advocate, who will contact you directly by phone. This trained and certified Recovery Advocate will work with you to place fraud alerts at the three major credit bureaus; help you access services to watch for signs of identity theft; and access your credit reports and conduct a threat assessment to determine if any identity theft has occurred. Contact the Social Security Administration, U.S. Postal Service, Department of Motor Vehicles, etc., as applicable, to address any misuse of official documentation of your identity. Follow up to make sure wrongful activity is reversed and removed from your records. Have You Been Submitted for Recovery Services? If you would like to purchase additional identity fraud benefits, please click here. Services will be extended to accountholders at the discretion of TwinStar Credit Union and may be cancelled upon 30 days’ notice to the accountholder. Services extend to all named accountholders in the defined group, their spouse or domestic partner, dependents up to age 25 with the same permanent residence address as the accountholder, including students and military, and parents of the accountholder living at the same address as the accountholder, or living in hospice, assisted living, nursing home or deceased for 12 months or less. Provider Services do not cover financial losses of any kind arising from the identity theft. Eligibility for recovery services is based on ID theft events that are discovered and reported to TwinStar Credit Union on or after the effective date of the group program. Recovery Services may be refused or terminated if it is deemed that the accountholder or eligible family member is committing fraud or other illegal acts, making untrue statements, or failing to perform his/her portion of the recovery plan. Services will not be refused or terminated due to the complexity of a case. TwinStar Credit Union and/or its service provider of the identity theft services cannot be held responsible for failure to provide or for delay in providing services when such failure or delay is caused by conditions beyond its control. This service does not provide credit counseling or repair to credit which legitimately belongs to the accountholder or eligible family member. Services are only available to residents of the United States. Identity recovery is only performed with agencies and institutions in the United States, or territories where U.S. law applies. Services are provided by Merchants Information Solutions, Inc., www.merchantsinfo.com or an alternate Services Provider selected at the sole discretion of TwinStar Credit Union.